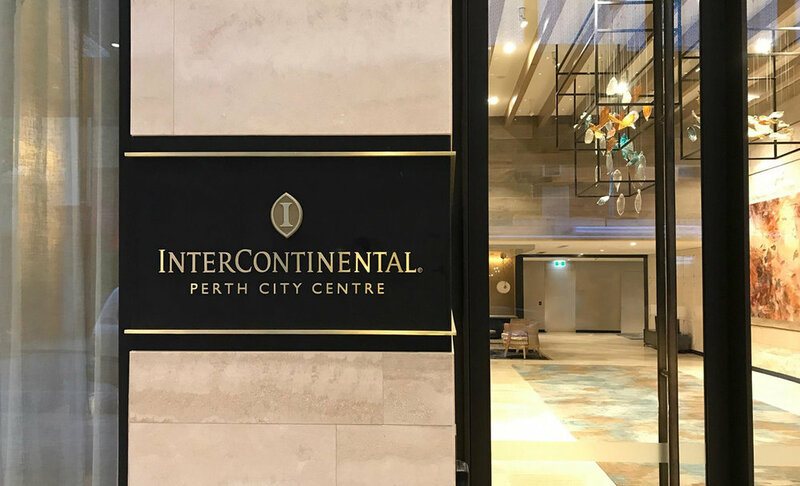 The five-star InterContinental Perth City Centre Hotel is now open after a two-year total transformation of an iconic inner-city building. 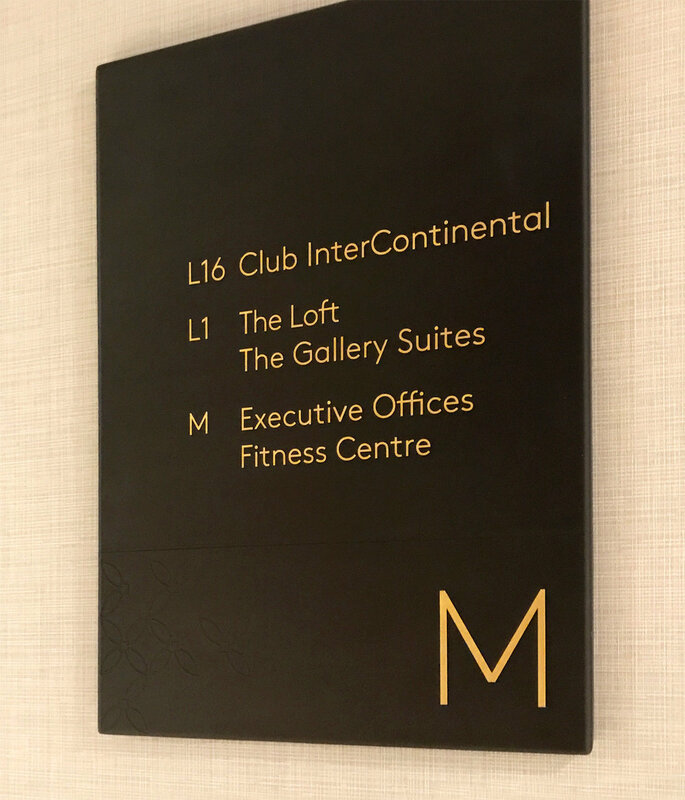 Working with leading architects Woods Bagot, Turner Design created distinctive identification and wayfinding signage for the public spaces on the ground and first floors utilizing a complementary combination of brass and the warm tones of dark bronze. Directional signage included the design of integrated digital wall directories and the wayfinding signage extended into the accommodation lobbies and room number identification.